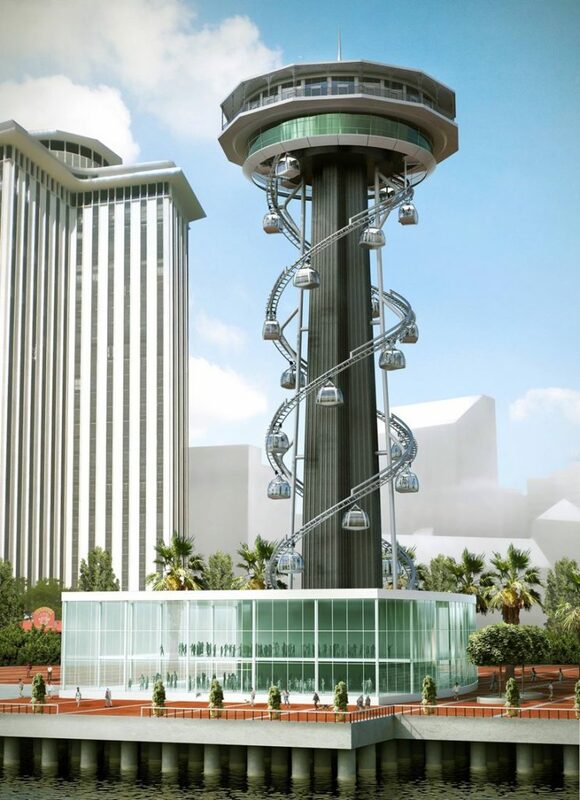 US Thrill Rides’ plan to breathe new life into New Orleans’ World Trade Center includes a 320-foot tower with a double-helix gondola ride. 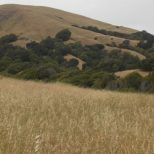 If approved, the 33-story attraction would cost about $40 million. 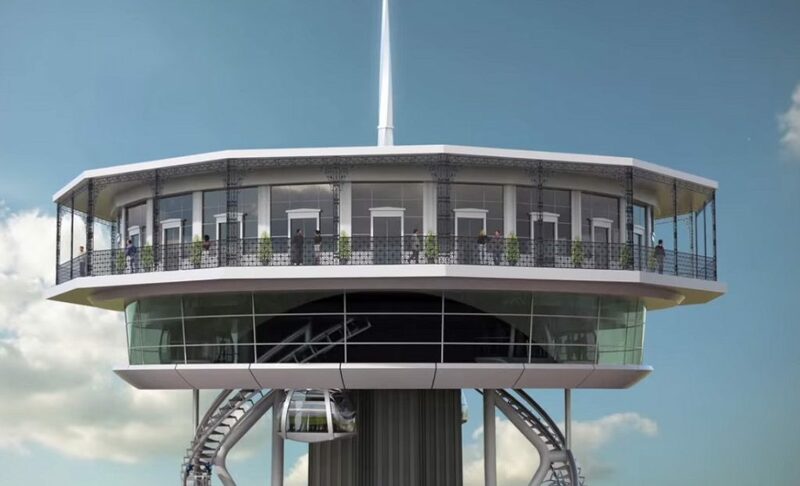 The aim, according to designboom, is to create “a dramatic and memorable family entertainment experience.” Once at the top, visitors would be able to enjoy 360-degree views of the French Quarter, Commercial Business District and Mississippi River from both the “sky-high” restaurant and observation platform. Plans to build the attraction would go ahead if Two Canal Street Investors goes on to win the redevelopment contract. Should that happen, US Thrill Rides says the tower will be completed by 2018, the year of the city’s 300th birthday celebrations. New Orleans does know how to throw a party.